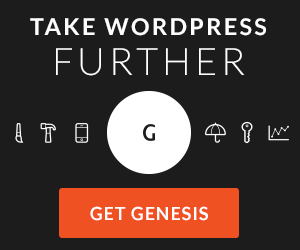 Plugins are the way you can customize the functionality of your WordPress site. I have mentioned plugins and written about them many times already here at WP-StepByStep, but I have never really explained how to install one on your site! Today, I will do that for you. Plugins will add almost any kind of functionality that you wish to add to your site. For example, if you had a website for a hotel and you wanted to add a way for people to make room reservations, there are plugins for that. So, you have it in mind that you want to add a room reservation system to your hotel website. 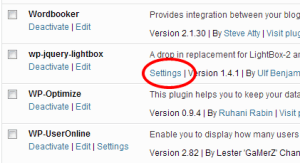 First thing to do is to go to the Plugins menu in your WordPress admin panel, then on the sub-menu under Plugins, click on “Add New”. When you click on this “add new” option you will be taken for a page where you can search for whatever it is that you are looking for. So, as I have clicked to add a new plugin, now I enter into the search area “hotel reservations”. When I enter that search, I am given a choice of 20 different plugins that fit my description. One thing that is nice, in my opinion, is that when the plugin choices are listed, there is also a rating of up to 5 stars, the ratings have been given by users who have tried the plugin before. So, for me, I almost always choose the one that has the highest user rating. When you have chosen which plugin to install, just click on the link that says “Install Now”. On some plugins, once you install them, everything is good to go. On other plugins, you must check the settings and set everything so that it is customized in the way you want it to be. Take a look at the image at left. The image shows the page that lists all of my plugins. In the red circle you can see that the one particular plugin allows us to change the settings. Many plugins will not even work until you have gone and reviewed the settings, then saved the settings once. This activates many plugins. Keep in mind, though, not all plugins require settings or even offer settings. Probably, in my experience, less than half of the plugins out there have or require you to do settings. It is fun to customize your site and make it unique by using plugins. Just keep in mind that the more plugins you are running on your site, the slower your site will be. A single plugin rarely has a huge impact on speed, but if you add tons of plugins you will notice that your site is not as responsive as it used to be. So, be careful, and only use plugins that add something special to your site, or are truly needed for your site to function as you need it to. In general, I would say that you should try to keep your number of plugins to less than 20 or so, but this is a personal choice.